Oz Seals has released a new polymer material that exhibits superior flexural strength and modulus of elasticity to offer greater load bearing capabilities than thermoplastic materials currently in the market. 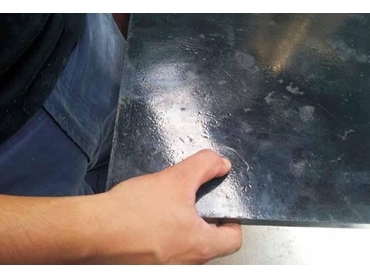 According to Mr Wil Prinz, Manager of Oz Seals Pty Ltd, the new polymer material uses a unique reinforcing filler, unlike conventional polymers that are unfilled. The new polymer, Oz Monyt uses specially developed glass fibres, which remain dispersed in the material leading to a load bearing capability that is three times greater than conventional polymers. Not only will Oz Monyt bushes last longer, but the life of the mating pins and shafts are also greatly extended.